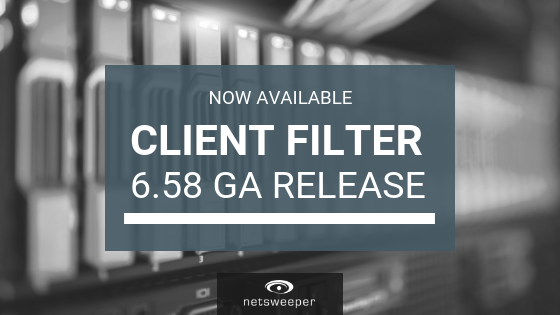 The Netsweeper Client Filter 6.58 General Availability release is now available! We thank all our customers for the great feedback and have now designated the Netsweeper Client Filter 6 release as GA. The release includes a minor variance fix for UDP filtering on Windows and MacOS. All customers running 5.x and 6.x versions of the Client Filters should upgrade to the 6.58 GA release. Others using older versions such as 3.x or 4.x are also strongly encouraged to upgrade to the 6.58 GA release. If you have any questions, please don’t hesitate to reach out to support@netsweeper.com. To download see the Client Filter 6.58 GA Release Page or for the downloads and a complete changelog go directly to the Client Filter 6.58 GA Release Notes.